For any enquiries or private group bookings please contact us on the details below. 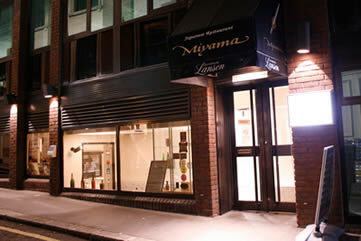 Miyama Japanese restaurant in the City are now on Facebook. For all the latest info see our Miyama facebook page, spread the word, tell your friends! Alternatively why not try our sister restaurant in mayfair.